Laura is giving away a copy of DARK ORACLE to one random commentator. Winner will be announced on June 18th. Please tell us about yourself. How long and hard did you work before getting published? Iâ€™m a bit of an odd duck. 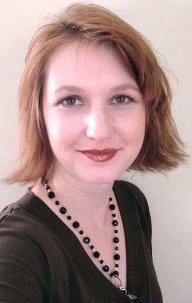 My educational background is in criminology and library science, and Iâ€™ve worked in and around criminal justice for the past twelve years. 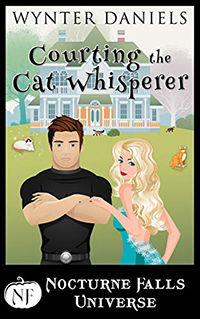 I live in the Midwestern U.S. with my husband and four semi-reformed feral cats. In my spare time, I enjoy belly dancing and amateur astronomy. Not at the same time, though. Shimmying can really screw up your right ascension. Do you think the paranormal / urban fantasy market has been over-saturated? Do you find it more competitive or difficult to obtain a readership because of this? Itâ€™s a very competitive market, with a lot of great ideas in the ether. Urban fantasy is harder to sell to editors now unless the concept is really out of the box. And one hopes that readers will be accepting of unusual ideas. 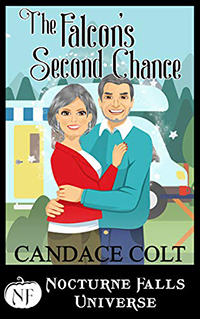 I know that thereâ€™s a vast sea of books out there, but Iâ€™m hopeful that readers will give my books a shot. What is your current project about? What other projects do you have in the works? 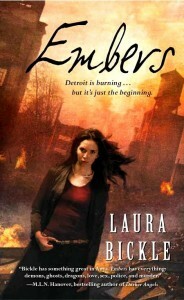 In EMBERS, which was released in April, Anya Kalinczyk spends her days as an arson investigator with the Detroit Fire Department. 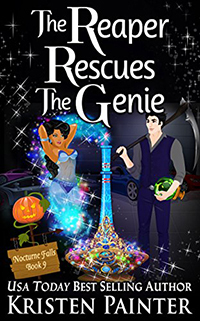 She spends her nights pursuing malicious spirits with a team of eccentric ghost hunters. Anyaâ€”who is the rarest type of psychic medium, a Lanternâ€”suspects a supernatural arsonist is setting blazes to summon an ancient entity that will burn the city to cinders. By Devilâ€™s Night, the spell will be complete, unless Anyaâ€”with the help of the ghost hunters and her fire salamander familiar, Sparkyâ€”can stop it. I wrote DARK ORACLE as Alayna Williams, and it was released a week ago. Tara Sheridan swore off criminal profiling after narrowly escaping a serial killer who left her scarred for life. 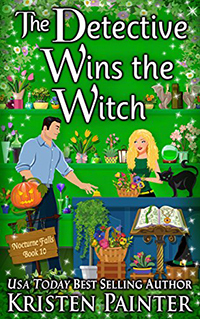 By combining Tarot card divination with her own intuition, she must help an intense federal agent find a missing scientist who has unlocked the destructive secrets of dark energy. 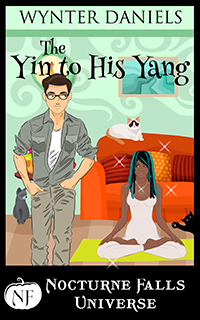 The agent, Harry Li, draws her out of her self-imposed exile and back into the world. I have sequels to both books in the works. SPARKS, the sequel to EMBERS, will be released in September. 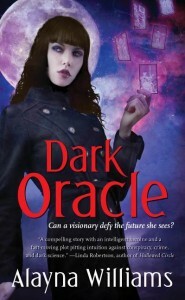 The sequel to DARK ORACLE will be out in March 2011. What was the most important thing you learned once youâ€™ve become published? The most important thing Iâ€™ve learned is that getting published isnâ€™t a destination. Itâ€™s not over when a book hits the shelves. Thereâ€™s a whole lot of additional worry, waiting, and wondering about how the book will be received, how much it will sell, the possibility of future contracts, etc. What is the biggest misconception about romance authors that youâ€™ve come across? I think that romance authors are often misperceived as not taking risks with plot and character. I donâ€™t think thatâ€™s true – Iâ€™ve read so many beautifully plotted romances that also focus on character development, and bring an element of the unexpected to the table. Whatâ€™s the most adventurous thing youâ€™ve ever done, and what did it teach you about yourself? The most adventurous thing Iâ€™ve ever done is taking up belly dancing. Iâ€™m a pretty reserved person by nature. It helped me get out of my shell a bit and not be afraid of an audience. Iâ€™ll never be a professional, but it helped me loosen up a bit and have fun. If you were a nail polish, what would it be called and why? â€œCosmic Coral.â€ Iâ€™m an amateur astronomer, and am fascinated by anything I can stare at in the night sky. Do you have any words of wisdom for aspiring writers? Any last words for our readers? The single most important step along the path to getting published is finishing. The next step is having the discipline to do it again. And again. Wash, rinse, repeat. Itâ€™s the whole learning-by-doing thing. And Iâ€™m deeply appreciative of those folks who pick up my books. I know that there are a lot of urban fantasies out there on the market, and I appreciate readers taking a chance on mine.